The Philadelphia Ukrainian Nationals is one of the most famous brands in American soccer, so anytime a record is set at the club it's a big deal. In 2018, the Ukrainian Nationals Black (2005 boys) became the youngest team in club history to reach a US Youth Soccer National Championship. The Ukrainians finished fourth in the nation and drew 1-1 with eventual champion CDA Slammers FC (Cal-South). This came after state and regional championships for the Ukrainians, the latter requiring comebacks from 2-1, and 3-2. The Ukrainians eventually won the region in penalties. The Ukrainian Nationals' run to nationals was a full club effort--two players were called up from lower teams after injuries left the first team short on players. 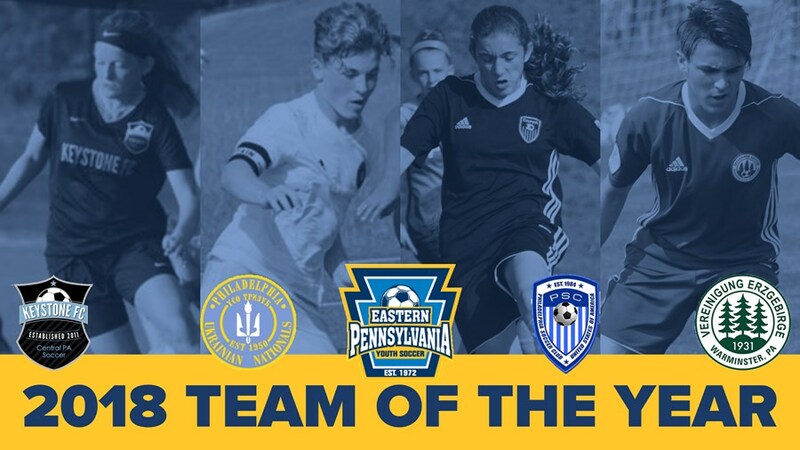 Jake Freedman, a midfielder, and Joseph Turano, a defender, were each named to the US Youth Soccer National Championships Best XI team.